Where exactly is Portofino village? "...To get to Portofino village all you need to do is jump on the tender boat in the morning and enjoy one of the most beautiful places on Earth." I wish I could tell you that the lilliputian Portofino Village is a place that exists in a dream only. That it's a mythical place just like the Atlantis. 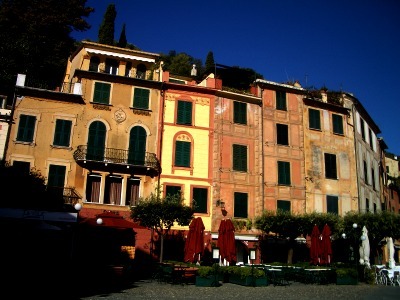 And the colourful facades of the houses are just props on a movie set for a film shot in the era of La Dolce Vita. 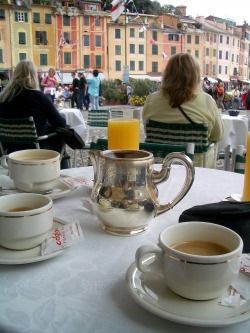 Maybe then people wouldn't go to Portofino village and I would jealously have it all for myself. All pure and unspoilt, nice and peaceful...with plenty of tables to chose from when I want to have my morning espresso, with the narrow paths to the lightouse at the promontory all quiet, with Castello Brown all deserted for me to pretend it is actually my house and in a minute now I'll be welcoming Boggey and Lauren to join me for dinner on the terrace with the most spectacular views. I wish I could tell you that but something's telling me you wouldn't believe me. Portofino village may not be a dream but Nietzsche called it 'a waking dream' and a 'small forgotten universe of happiness'. And the bay where this tiny fishing village and the upmarket resort is, is part of the Tigullio Gulf, on the Italian riviera, in the province of Genoa and the north-Italian region of Liguria, one of the smallest ones in country. Italian riviera or the Ligurian riviera is connected to the famous French riviera and similarly to it full of the charming little fishing villages that turned into famous resorts full of elegant hotels, promenades and restaurants. 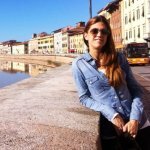 It is famous for Genoa, the largest Italian seaport; Cinque Terre, the beautiful five villages on the rugged coast; it is famous for San Remo and its Italian canzone song competition and its casinos. You get the picture, right. This is where Portofino is. Since the 1850ies it has been on the Grand Tour list for the wealthy and educated British and International travellers. One of the first that were spellbound by the beauty of the area were Byron and Shelley, followed by Herman Hesse, D'Annunzio and Eleonora Duse, Freud, Hemingway and Ezra Pound. In the 60ies everyone from Elizabeth Taylor and Richard Burton to Frank Sinatra and Ava Gardner vacationed in Portofino. Today, you might get off the tender boat in Portofino port just to see Rihanna, Madonna or Gwyneth Palthrow on a megayacht next door. What is important about the position of Portofino is that it is close enough to all these other attractive spots on the Italian riviera but at the same time, the narrow and winding road that leads to it makes it a bit isolated and hard to reach. The town itself is car-free and there is a small parking lot just outside the village so the best way to reach it is by boat, a ferry or a yacht. Definitely one of the reasons why all these famous people have been coming to Portofino village for decades and feeling protected and not so exposed. You, being the Mediterranean cruise ship guest, have it quite easy: no worries about the winding roads or parking. Or paying one night's worth of mooring for your yacht in the same amount you payed for your seven day cruise. All you need to do is jump on the tender boat in the morning and enjoy one of the most beautiful places on Earth. Looking for a cruise on your favourite cruiseline? Check CruiseDirect.com, a leading cruise line travel company that backs up all the deals on their website with a 100% price guarantee. 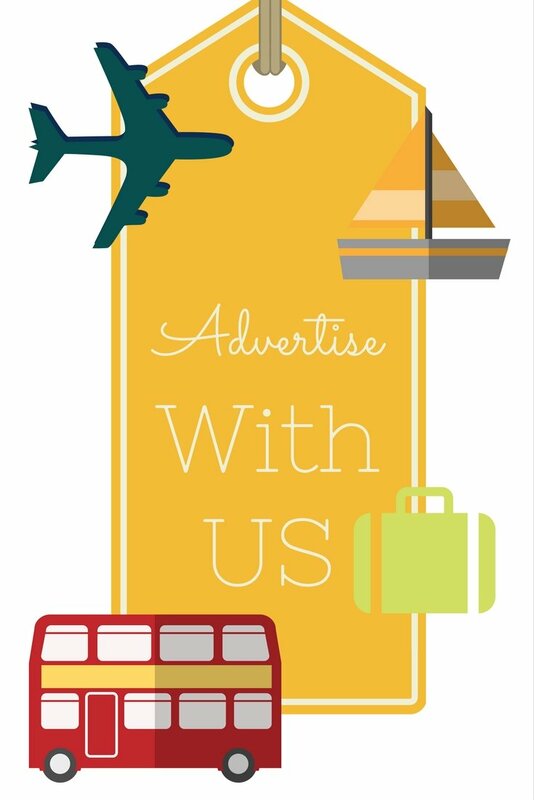 They provide you with videos, photos, port descriptions, weather and cruise calendars. Live chat with cruise professionals. Filter your deals to Mediterranean departure ports! Still don't have flights to your embark port? Easy way to search over 140 travel sites, access to over 70,000 travel deals, compare prices and pick the best one.